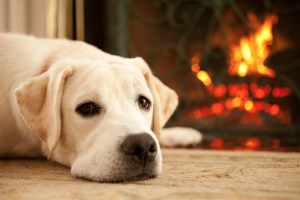 With the cooler weather well and truly upon us, we are often asked by owners about their pet’s needs in winter. Q: Is it important to exercise our pets in winter, even when it’s freezing outside? A: Winter activities will vary widely depending on what kind of pet you have, their personality, and the severity of the weather. When it comes to dogs, they really need to get out all year round, even in colder weather. Dogs who really enjoy the outdoors and colder temperatures can have just as much exercise in the winter as the summer. You can keep your walks shorter for those who don’t enjoy the winter weather as much. Q: Are coats and jackets a good idea for pets who spend time outside during winter? A: Some dogs with thin coats will benefit from a jacket, and find freezing temperatures much more enjoyable with the extra layer! Q: Does my dog or cat need to eat more in winter to help survive the cold? A: Because people and animals often are less active in the winter months, we often find that people need to feed their dogs less during the winter. If you and your dog are very active, or if your dog is primarily outside, then you may need to increase their food proportionally. Q: Does my pet still need lots of fresh water, even though it’s cold outside and they may not be as thirsty? A: Fresh water is always necessary, even if your dog isn’t drinking as much as during the hot summer. Particularly cold winter’s days can be uncomfortable for slim, younger or older dogs when it comes to nap time. We suggest elevating their bed off the ground where possible, and placing a hot water bottle (with warm not boiling water) into their bed or kennel. This will soon make for a comfortable place to rest!